Milne is currently one of the strongest men in Scotland. Not bad for a nation with such a rich cultural history of strength sports such as caber tossing and hammer throws. He eats like it too - regularly putting away some 7000 calories each day. 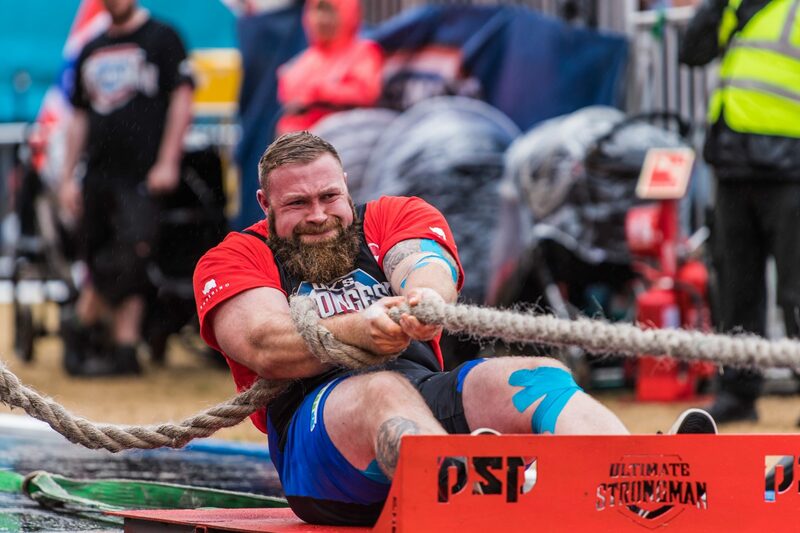 Milne is also a finalist in the overall UK's Strongest Man, but his background is more athletic than you might think. He's a former undefeated British heavyweight amateur Muay Thai champion. Nowadays, his sights are set firmly in the strength arena, as he seeks to better his UK placing. Fuel for this is all about calories - and lots of them. You won't find a leafy kale and avocado salad in sight. Comprising seven meals and over 7000 calories, this diet is not for the faint-hearted – or anyone attempting to lose fat. However, it helps support a strongman's attempt at superhuman lifts, hence Milne's dedication to the cause. The 28-year-old can already bench press a humungous 190kg. Improving on this will be tough, but that's where a diet this rich in calories and energy comes in handy. Weighing in at 140 kilograms (22 stone), Milne has come a long way since his first sporting success at the age of five. "Growing up, I was never far from a sports field, and like many other boys my age football was my first passion. I kept it up right the way through until under 18 level, before discovering Muay Thai boxing." After a few years of training, the Scot embarked on a competitive Muay Thai career, in which he enjoyed four years undefeated in the ring. He became the Scottish heavyweight and British super-heavyweight amateur champion in this time. During this period, Milne joined a local gym and started weight training. With his physique changing, he was faced with a tough decision: stay in the ring or focus on weightlifting. "Having always enjoyed watching the World’s Strongest Man on television, I had dreams of one day competing as a Strongman myself. 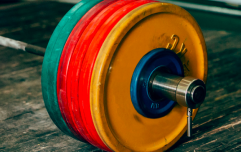 It wasn’t until I went to watch the Scotland’s Strongest Man Final five years ago when I truly fell in love with the sport." Despite his in-ring success in the Muay Thai world, Milne then took to strongman, entering Lanarkshire's Strongest Man under 105kg competition in 2014, placing third against a field of elite athletes at the time. 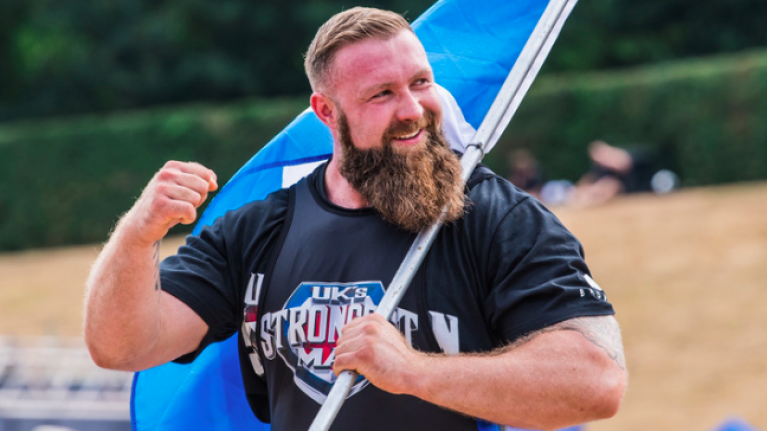 Kicking on from this first taste of competition, Milne entered the qualifier for Scotland's Strongest Man Final in 2015. To his delight, he qualified for the Final at the first attempt. "Since then, I have successfully qualified for the final every year. That included securing my first top-10 finish in 2016, just one day after my youngest daughter was born!" The Scot does his competition preparation at his local Xercise4Less gym in Cumbernauld, working out four or five times a week, for up to two-and-a-half hours per session. Last year, Milne made the final of the UK's strongest man, which was televised on Channel 5 – finishing in eighth place overall. This year, Milne will begin the qualification process for both Scotland's Strongest Man and UK's Strongest Man. "I hope to qualify for both finals again and to better last year's placings!" The Mountain from Game of Thrones is the reigning European Strongest Man - read how he consumes around 12,000 calories each day.